Ever wonder what to do with all that data? Or are you sitting there thinking where do I start? 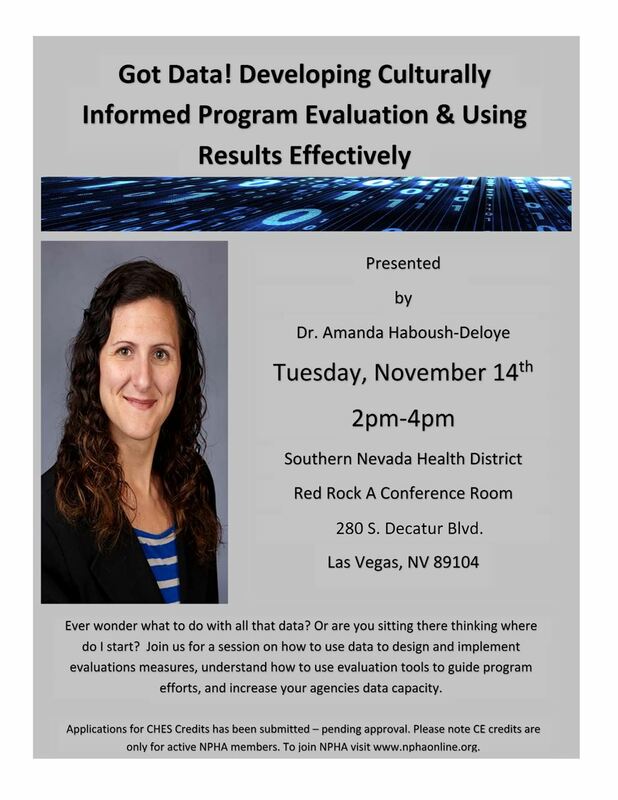 Join us for a session on how to use data to design and implement evaluations measures, understand how to use evaluation tools to guide program efforts, and increase your agencies data capacity. CHES members receive 2 CHES Credits. Please note CE credits are only available for active NPHA members. To join NPHA visit www.nphaonline.org.